- Pencil Type: White Colour, Cylindrical Shape with Pointed Tip. All natural slate pencils, used since old times. We produce the best and finest quality. We produce both natural slate pencils and natural sharpened (decorative, paper wrapped) slate pencils. We have experience of 35 years in this industry and hold good reputation in the markets all over. Contact us for more information & pricing, with your ideas. Client suggestions are welcome. 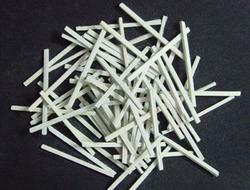 We "BSG India" are involved in the manufacturing of Office Superstar Slate Pencil. Being one of the reckoned enterprises in the market, we are highly affianced in offering an optimal class gamut of White Slate Pencil to our patrons. These are Jeeevan Brand Slate pencils. 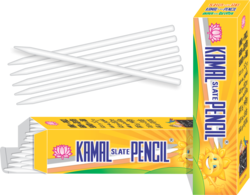 Slate pencil, stationary product, available on bulk quantity. We are selling 1 big box of including 25 small boxes. Fostered with enormous industrial proficiency in this sphere, we are engaged in presenting to our clients complete assortment of Slate Pencil.